Sajid Nadiadwala's Grandson Entertainment Pvt Ltd is celebrating its 60th anniversary today and on this occasion, the production house that has worked with various generations of actors in the past is all set to announce their upcoming film which will star Tiger Shroff. Tentatively titled Heer & Ranjha, the film will be directed by Sabbir Khan. It will be the production house's second collaboration with the actor. 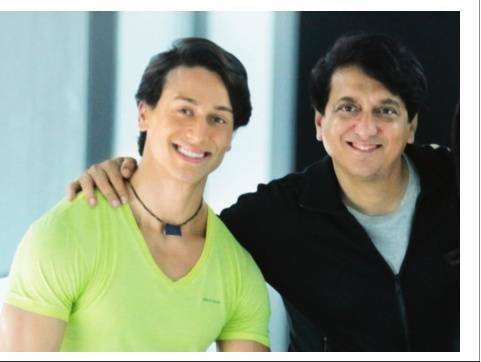 Tiger made his debut in Bollywood with Sajid Nadiadwala's Heropanti, and since then the two share a very special bond. Nadiadwala Grandson Entertainment Pvt Ltd has reinvented itself this year with the company investing mostly in young and fresh content.Being one of the oldest production houses, Sajid's production has always pumped in young blood in their projects and has worked with heroes from different generations. The list of actors include Amitabh Bachchan, Akshay Kumar, Salman Khan and Ranbir Kapoor, and now the latest one to come on board is Tiger Shroff --the youngest star of Bollywood. Salman Khan and Sajid Nadiadwala to start work on 'Kick 2' in 2018?